Some of you might remember our team building day at Mugdock Park, which took us past the Carbeth Huts and gave Neil the chance to bore you with an impromptu social history lesson! 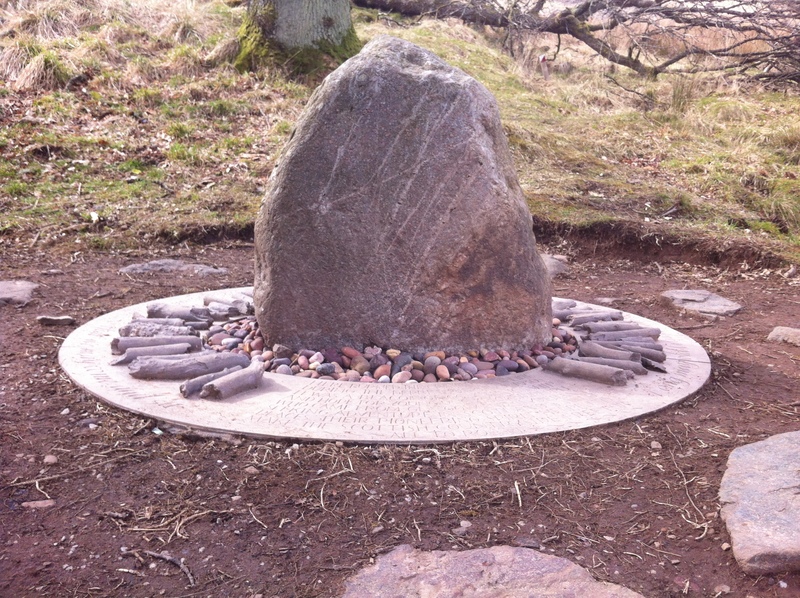 Along the way, we stopped for lunch at the site of the Craigallian Fire, which was marked by a pretty sad looking laminated card stating they were hoping to erect a more meaningful memorial at some point. We were out that way on Saturday, and it’s finally arrived, and looks pretty good. 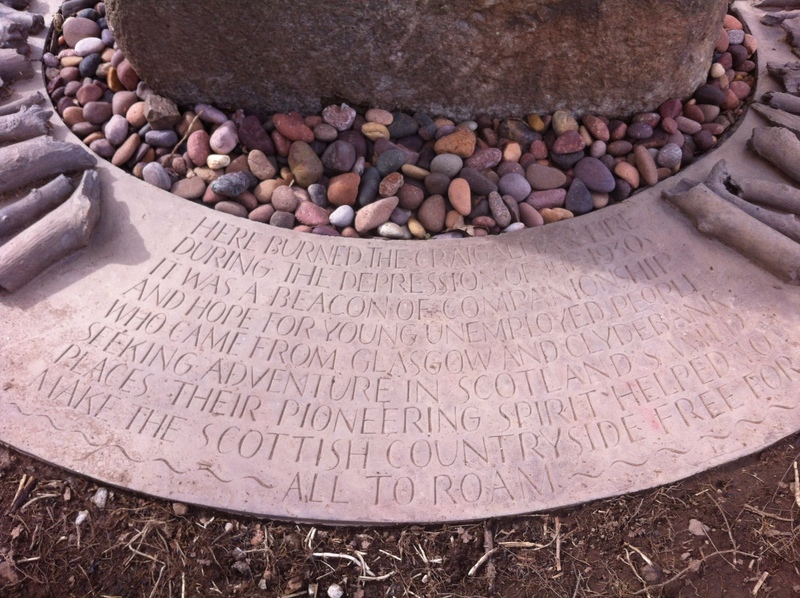 The text at the base gives a little insight into the significance of the site as a place where dreams were born, friendships were built and a vision of a better society passed on from one generation to the next. Although the fire doesn’t exist now, there are still lots of people who are inspired by the same vision when they journey in Scotland’s wild places, and over the coming year, we’re going to be working hard to create several opportunities for you to get out and about in lots of different ways, including the DofE expeditions, mountain biking, climbing and hill walking. We’re hoping to build up a store of equipment that we can share, so that your chance to explore won’t be restricted by whether you can buy lots of gear or not. If you want to get involved, then just let us know. Vinyl @ Classic Grand DofE … Exams are (almost) over!